Please make plans to attend the Art Show on Wednesday, April 24 during your child’s lunch time. You won’t want to miss buying your child’s masterpieces and supporting our awesome Art department. There are also lovely grade-level raffle projects available. Cash, checks and credit cards accepted. A $.50 fee will be added to all credit card transactions. Bear will celebrate our teachers and staff during the week of Monday, April 29 – Friday, May 3. Keep your eye out for a flyer coming home with your student early next week with a listing of all of the theme days to honor our teachers. The PTA also sponsors a lot of fun things for our teachers and staff during the week (Massages! Workroom Treats!). A highlight of the week is a beautiful and delicious catered luncheon in the library. We are still in need of many door prizes for this event. Please can you help! The PTA is requesting that families send in $5 or $10 gift cards to be used as door prizes at the Teacher Appreciation Luncheon. Gift cards can be to any store or restaurant (e.g., Walmart, Target, Starbucks). Many businesses will donate if asked. Please send new gifts or gift cards to school with your child in an envelope labeled “PTA – Teacher Appreciation” by Friday, April 26. We thank you for your support for making this week EXTRA special for our EXTRA special staff! Prepaid School Supply forms will come home Wednesday, April 24 and be due Wednesday, May 1. The fees range from $65-75 per student depending on the grade. School Supplies can also be purchased online. In addition to School Supplies, you will have the option to add and prepay for a replacement Field Trip shirt and/or next year’s Theme Shirt. This will guarantee your child will have these items the first week of school. There will be a $10 late fee for any School Supply fees turned in after May 1st unless arrangements have been made for a payment plan. If you’d like to leave a permanent mark at Bear and help support our Outdoor Classroom, you can do so by purchasing a commemorative brick. You can honor your child, a special teacher or friend by crafting your own personalized message. Bricks are $40. Additional bricks in the same order are $30. The deadline has been extended to Monday, April 22. You can use this older order form and send it in to your child’s teacher by Monday. Bricks will arrive before the end of the school year, and students will be able to place their own bricks in the garden. Bear Exploration Center is teaming up with our PTA Garden committee to host the second annual Bear Earth Day Extravaganza on Friday, April 26. We have five large flower beds in our lovely garden to fill up. We are asking each child to bring in one potted plant or flower by Thursday, April 25. Perennials are preferred – they are the gifts that keep on giving - but annuals are awesome too. “Full Sun” plants will work best in our garden. Your child will love being a part of the Earth Day Extravaganza, so make sure to send a flower/plant in for your child to plant. Please direct questions to Ashleigh Livingston. Ashleigh and the Garden committee are also planning a clean-up day after the Earth Day Extravaganza on Saturday, April 27 from 10 am – 1 pm. The next GEM Day (Garden Education and Maintenance) will be Saturday, May 4 also from 10 am – 1 pm. GEM Days are not just about maintenance, it’s about spending time outside with friends and family, exposing your children to gardening, and helping your child’s school. We hope to see you there. The Bear PTA hosts a special breakfast to honor our grandparents and special friends who join the Golden Bears Club by making a $30 donation at the beginning of the school year. All Golden Bears should have received their invitations to the breakfast which will be held on Thursday, April 25 at 8:00 am. Golden Bears are encouraged to attend this event with their grandchildren. We LOVE our Golden Bear supporters! The last Specialist Spotlight of the year is Mrs. Lanier – our Technology Guru! At the top of Mrs. Lanier’s wish list is HP 63XL ink cartridges (black and color), Office Depot gift cards, Lysol wipes, Mavalus tape, and double-sided tape. Other items that she would love to have are copy paper (white and colored) and packs of 24-count Crayola crayons. Transition meetings for Kindergarten through Fourth Grade are in the process of being scheduled. Your child’s transition meeting will be conducted by the teachers of the grade level your child will be in next year. The purpose of the transition meeting is to give parents a broad overview of your child’s upcoming grade level. The teachers will share information regarding how next year will differ from the current year, skills that should have been mastered, and suggestions for summer practice so that students will not experience summer learning loss. It is our hope that spring transition meetings will help ensure a successful 2019-2020 school year. Detailed information day-to-day classroom procedures and operation will be covered on Back to School Night in August. Bear PTA is partnering with a new local business, Five Points Deli, located in the Cloverdale area. When you dine at Five Points Deli between Tuesday, May 7 and Saturday, May 11, be sure to mention Bear Exploration Center Spirit Week. We will receive a portion of the proceeds. Our last PTA Meeting will be Tuesday, May 14. Please plan to attend our final meeting as we wrap up the year, install new officers and give out awards. If you need assistance or information in another language, please let us know. GEM Day (Garden Education and Maintenance) is this Saturday, April 6 from 9 am -1 pm. Garden Day is not just about maintenance, it’s about spending time outside with friends and family, exposing your children to gardening, and helping your child’s school. Kids LOVE to garden, and it helps children be more open to eating vegetables. We will be planting new flowers and veggies on Saturday as well as having a Kids’ Nutrition class. Please come, even if it’s just for 30 minutes and enjoy a beautiful day outside with your Bear Family. Contact Ashleigh Livingston for more information. Prepaid School Supply forms will come home April 24 and be due May 1. The fees range from $65-75 per student depending on the grade. In addition to School Supplies, you will have the option to add and prepay for a replacement Field Trip shirt and/or next year’s Theme Shirt! This will guarantee your child will have these the first week of school! There will be a $10 late fee for any School Supply fees turned in after May 1st unless arrangements have been made for a payment plan. Be on the lookout for these forms! Transition meetings for Kindergarten through Fourth Grade are in the process of being scheduled. Information will be sent home by your teacher during the next couple weeks. Your child’s transition meeting will be conducted by the teachers of the grade level your child will be in next year. The purpose of the transition meeting is to give parents a broad overview of your child’s upcoming grade level. The teachers will share information regarding how next year will differ from the current year, skills that should have been mastered, and suggestions for summer practice so that students will not experience summer learning loss. Bear will celebrate our teachers and staff on Monday, April 29 – May 3. Keep an eye out in the next couple weeks for a listing of all theme days and special events. Thank you for everyone who brought in supplies for Mrs. Cross and Mrs. Eagerton. The winner of the drawing is Second-Grader Korey Thomas. Thanks, Korey! And the Winner Is… Bear! The Bear PTA won several Family-School Partnership Awards from the Montgomery County Council this month, including Welcoming All Families, Communicating Effectively, Supporting Student Success, and Sharing Power. Make plans to attend the Art Show on Wednesday, April 24 during your child’s lunch time. Cash, checks and credit cards accepted. A $.50 fee will be added to all credit card transactions. Our last PTA Meeting will be Tuesday, May 14. Please plan to attend as we wrap up the year, install new officers and give out some awards. If you need assistance or information in another language, please let us know. Join us for our next PTA Meeting on Tuesday, March 12 in the Bear Cafeteria. We will feature performances by the Honor Choir, Jump Rope Team and Baton class. And come hungry because we will be serving hot dogs, chips and drinks free of charge. We also will present the slate of PTA officers for the 2019-20 school year. If for any reason you need an interpreter for any PTA meeting or event, please let us know. We are happy to provide one for you! Come support the Bear Library by shopping at the Book Fair this entire week. Tomorrow (Tuesday, March 5) is Pastries with Parents (AKA – DOUGHNUTS for all!). Students must return to class by 8:30. We take cash, check, or credit cards. There are still a few volunteer spots left this week if you want to help. Sign up here. Our next Spirit Night is at Chuck E. Cheese’s on Thursday, March 14 from 3:00 – 9:00 pm. Have fun and support your school! The Specialist Spotlight for March are the extra SPECIAL teachers in our Resource Room - Mrs. Eagerton, Speech, and Mrs. Cross, Special Education. Items on their wish lists include Lysol wipes, dry erase markers, sticky notes, facial tissues and paper towels. Thank you, parents and students, for supporting our specialists all year long! The Bear PTA has applied to become a National PTA School of Excellence. We were asked to Improve Education by Increasing Family Engagement while Supporting Student Success. The Bear PTA worked toward this objective by hosting Floyd Magnet Middle Schools Principal, Mr. Vince Johnson, as well as the 6th grade teachers at our January PTA meeting where they discussed the transition to middle school. It was a great opportunity to support your child’s success! After Spring Break we will be having transition meetings for all grade levels where you will be able to meet with your child’s next year teacher(s). This informative transition meeting will provide insight on the current curriculum, how to help your child master standards, and ways to support your child over the summer to reduce skill gaps and ensure they are successful for the next school year. If you can think of any other ways to help us meet our objective, you can email Jill Sexton at jasexton23@yahoo.com. Oops... we accidentally forgot to list one of the Bear students who won an award at the Montgomery County Reflections contest. Photography/Intermediate - 2nd Place - Yates Gunnells. Congratulations to Yates! This Bear Family Dance is this Friday night from 6-8 p.m. If you haven’t bought a ticket yet, no worries! You can buy tickets at the door. The Family Dance is always SO much fun, and the PTA has taken several steps this year to make it even more fun and Family-Friendly – including better lighting, more room on the dance floor and more dance-along tunes. You can bring in mini water bottles or bite-sized snacks on Friday. Don’t forget money for Nancy’s and popcorn. Can’t wait to see your kids CAMPed out on the dance floor! We are going to do one last Bear Wear order for the year. Orders are due on Friday, February 13 by 3 pm. You can print the February Bear Wear order form and send in a check. OR you can pay with a credit card and order online here. Thank you to everyone who sent in reams of paper for our annual Paper Drive. More than 580 reams of paper were donated to our school. Mrs. Barton and Mr. Brown’s classes each won a doughnut party for collecting the most paper. Bear Bucks will be sent home next week for students who brought in 4 or more reams of white paper or 2 or more reams of pastel paper. Congratulations to the following students who won awards at the county level of the Reflections Art Contest. These entries will be sent on to the state competition. Well done, Creative Cubs! Thank you to the students who brought in items for Mrs. Sealy’s classroom in December: Carson Shambray, Carson French, Parker Martin, Dakota Hernandez, Sallie Wientjes, and Robert Booker. The winner of the prize drawing for December is DAKOTA HENDERSON. Joe Weatherford, Maggie Whitt, Gabrielle Blackmon, Peyton Hornbuckle, Keldrick Johnson, Auani Hall, Autumn Dailey, Aiden Senderson, Doc McIntyre, Arraya Baathet, Madison Dean, Kendall Simpson and Ciel Thomas. The winner of the prize drawing for January is MADISON DEAN. Congratulations, Dakota and Madison! The Specialist Spotlight for February is Senora Hoit – the Spanish teacher. Senora Hoit has requested candy, treasure box items and Sharpies. She would also love any books that are in Spanish. If you bring in an item for Senora Hoit, make sure that your student signs the Gift Log so that you will be entered into a drawing for a prize. You could be next month’s lucky winner! Mark your calendars for Tuesday, March 12 for our next PTA meeting at 6 p.m.
Join the Bear faculty for a night of hands-on Science Fun on Thursday, February 21 from 5:45-6:45. Pizza dinners (a pizza and 4 drinks) will be served by the Bear PTA from 4:45-5:35. All pizzas must be pre-ordered. Order forms will come home next week. Pizzas will also be available to order online. Montgomery Trees is sponsoring a Seedling Giveaway on Saturday, February 16 from 10-12 at Ida Belle Young Park Pavilion. Everyone who comes can get up to 3 seedlings. If you would like to donate one or more of your seedlings to Bear, that would be fantastic! Parents and students… do you have questions about middle school? Please join us to learn more about the middle school transition. The program will feature the Floyd principal, 6th grade teachers, the Floyd PTA President and a parent. Bring your questions. The 5th grade class with the highest attendance wins a doughnut party, but all parents are encouraged to attend. It’s never to early to look ahead. We are so proud of the students who turned in entries for the Reflections Art Contest last month. We have so many talented students. The following students were chosen as winners in the various categories and will receive CASH prizes at the January PTA meeting. All Reflections entries have been sent to compete at the Montgomery County level. The January Spirit Night is January 22 at Pieology. You must bring this flyer or show it on your phone. The flyer will be distributed at school closer to January 22. The Specialist Spotlight for January is Mrs. Bonikowski - Our Artist Who's the Smartest! Bring in an item from Mrs. Bonikowski's wish list this month, and your student will have a chance at winning a prize. If you are signed up to receive text messages from the PA through the Remind app and are a Verizon customer… Beginning January 28, 2019, the people who normally get Remind messages as texts will no longer receive these messages if they have Verizon Wireless as their phone carrier. To make sure that Verizon customers continue receiving messages, you can download the mobile app or enable email notifications—both of which are free of charge. 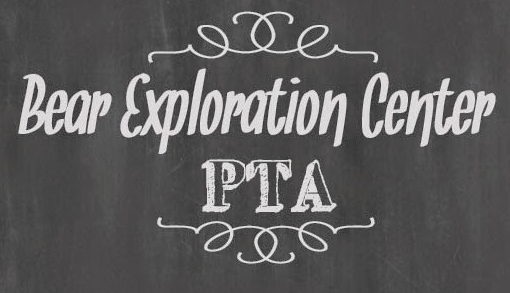 Our first PTA Meeting of 2019 is Tuesday, January 15 at 6:00 in the Bear lunch room. We are hosting a Floyd Magnet Middle School Forum. Floyd Principal, Mr. Vince Johnson, as well as the 6th grade teachers will join our meeting to talk about the transition to middle school. Prizes for our Reflections winners will also be given out at this meeting. Can’t come to the PTA meeting? You can now watch it live on Facebook! Would you like to receive text updates from the PTA? Please text @bearpt to 81010 to be added to our contact list. Thank you to EVERYONE for a great Penny War. Because of everyone’s generosity, we were able to surpass last year’s total. We raised $5,356.94!!! Awesome job, Bear family! The PTA needs parents and grandparents who can help us enter Coke Rewards codes. It is pretty easy to scan codes in with the Coke Rewards app. It can be done at home on your own time. Please let Kelly Stanton know if you are able to volunteer. Magnet school applications are available on the MPS website. Tours for the public for Bear Exploration Center will be held from 9-11 am on January 15, 16, 17, 22, 23, 24, 29, 30, and 31. Invite your friends, neighbors and family to come see what makes Bear so special! The PTA is looking for several consistent helpers to pop popcorn on Friday mornings. If you are available once a month from 8-10 a.m., please consider lending a hand. Contact Dawn Russell at 334-462-5843. The school (not the PTA) sells the popcorn as a fundraiser for Bear. The PTA has supplied volunteers for years, and we would like to continue to help the school in this project. Moms, dads, grandparents, friends... all are welcome, and no experience is necessary. Have a safe and happy holiday!! See you in January! !